Just Listed :: Adorable Condo in Heart of Buckhead! 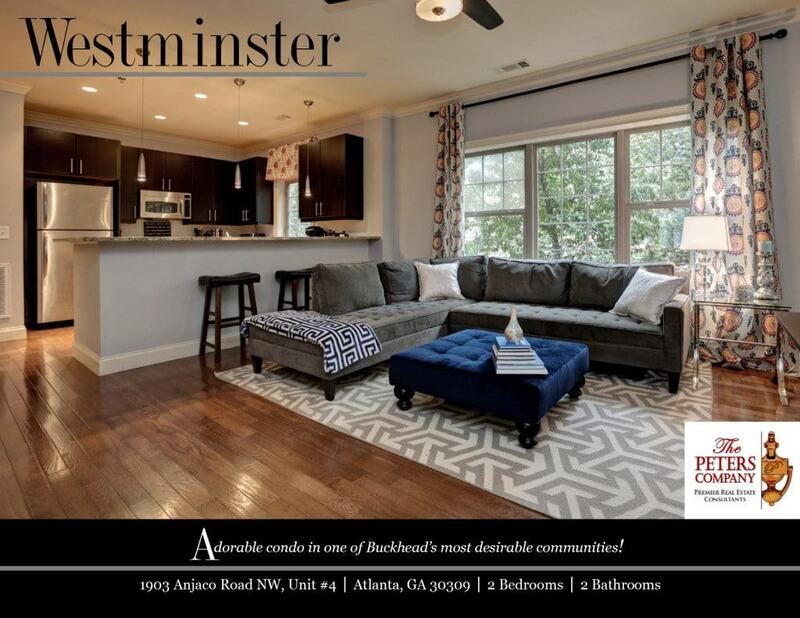 Welcome home to this adorable two bedroom, two bathroom condo in the heart of Buckhead. The open floor plan, custom features, and charming character will never go out of style. The close proximity to Peachtree Road, I-85, I-75, and GA400 makes it convenient to and from any direction. You’ll love having easy access to all of your favorite Buckhead and Midtown restaurants and shopping spots! You’ll truly be in the middle of it all! · Located in a secure access community. · Kitchen features stainless steel appliances, granite countertops, ample cabinet space, and breakfast bar. · The main living area is accented by gleaming hardwood floors and includes a nice combination of living and dining area, perfect for entertaining. · The master bedroom boasts a walk-in closet with custom shelving and spa-like bathroom with double vanity and large walk-in shower. · One deeded parking space. · Great location close to interstates, shopping, restaurants, Piedmont Hospital, and The Beltline! ← Just Listed :: Wonderful Smyrna/Vinings Condo!